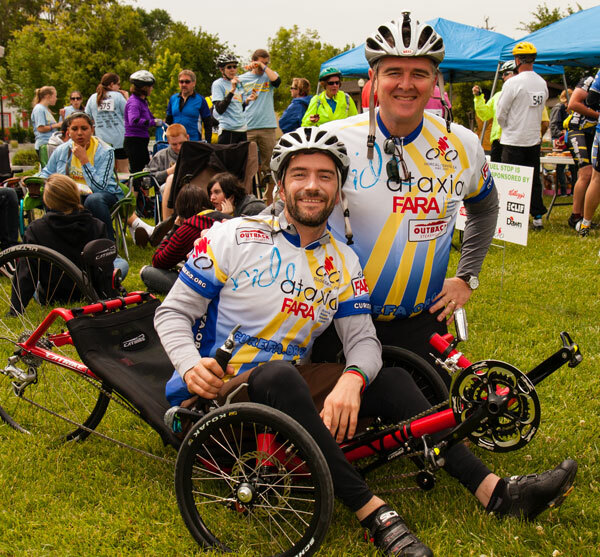 UC Davis alumnus Kyle Bryant returns to the area this Friday and Saturday (June 9-10) for a movie screening (The Ataxian documentary) and benefit bike ride (rideATAXIA NorCal) to raise awareness of and research funding for Friedreich’s ataxia, the rare disease with which he was diagnosed at age 17. Event details and more about Bryant and his role as the national spokesman for the Friedreich’s Ataxia Research Alliance. Both studies, co-authored by biochemist Gino Cortopassi in the UC Davis School of Veterinary Medicine, have implications for Friedreich’s ataxia, a rare, inherited disease that affects 6,000 people in the United States. There are two main applications of the new knowledge, Professor Cortopassi said. Funding for both studies was provided by the National Institute of Neurological Disorders and Stroke, and the Friedreich’s Ataxia Research Alliance. In addition to Cortopassi, collaborators on the frataxin protein deficiency study were Mittal Jasoliya, Marissa McMackin and Chelsea Henderson, all of UC Davis, and Susan Perlman of UCLA. Collaborating with Cortopassi on the DMF study were Genki Hayashi, Mittal Jasoliya and Sunil Sahdeo, all of UC Davis; and Francesco Saccà, Chiara Pane, Alessandro Filla, Angela Marsili, Giorgia Puorro, Roberta Lanzillo and Vincenzo Brescia Morra, all of the University Federico II in Naples, Italy.